typical hair dye that left her struggling to breathe, abandoning her in dread of death. What transformed a customary delight into a major danger to life? 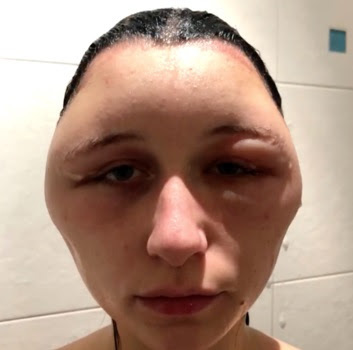 According to Sun UK, 19-year-old English student Estelle, from Paris, shared photos showing her shocking disfigurement caused by the chemical PPD, which is found in 90 percent of hair dyes. Estele had bought a standard DIY hair dye from a supermarket in Val-de-Marne, on the outskirts of Paris. 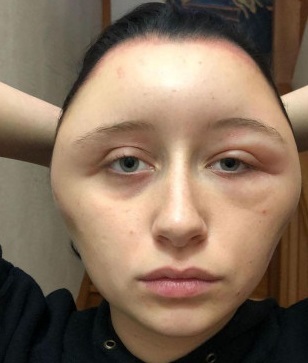 But, she stunned social media in France after she posted her allergic reaction to PPD, in which her face looks increasingly swollen and raw. The horrific reaction had first caused her scalp to itch before the top of head started to swell up. Estelle had attempted to treat herself using antihistamines and cream from a pharmacist but she awoke the next day to catch a glimpse of her inflated reflection. Speaking to French daily Le Parisien, Estelle said: “I could still see; here I was struggling to breathe. My forehead had doubled in volume. My head was like a light bulb”. Her tongue started to swell up and she was rushed her to the hospital where the circumference of her head now measured 63 cm rather than the average 56. Despite this, Estelle's mother believes there should be greater awareness of the dangers behind PPD. He mother argued: “It’s true that she didn’t follow the instructions word for word but the warning has to be clearer." PPD, the abbreviation for paraphenylenediamine, is also used in high concentrations in the popular black henna tattoos. It is the prime cause of allergic reaction to hair dye and is needed for most shades of permanent colour, especially dark shades. There is a strict limit on PPD concentration at a maximum of 2 percent and the chemical is banned in other cosmetics. Estelle now wants her dreadful experience to act as a warning to other. 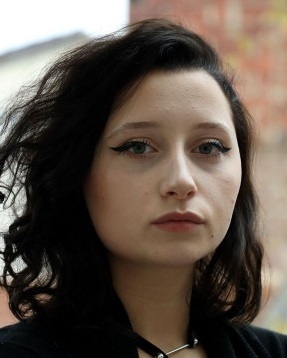 She added: "I almost died, I don't want something similar to happen to other people."